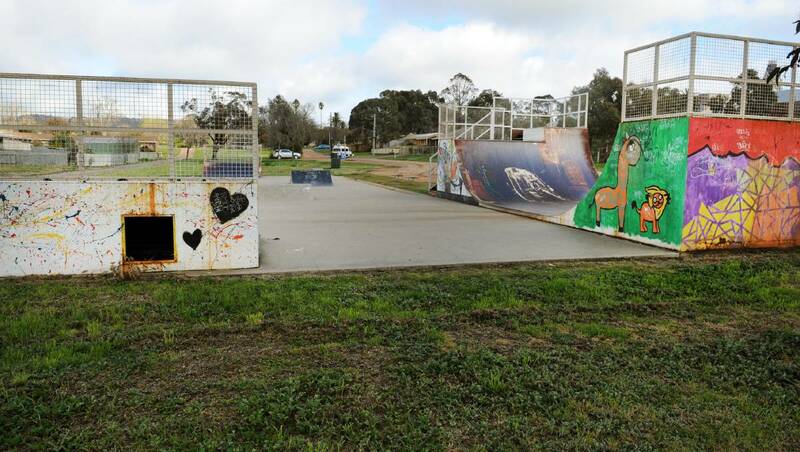 Ararat Rural City Council voted to contribute $300,000 to the Bill Waterston Skate Park Upgrade at Tuesday’s Council Meeting. While considering a report to apply for a grant to assist in the redevelopment of the park, Councillors discussed that the grant, if successful, would not be released until July 2018. Given the amount of fundraising already done by the community and the Skate Park Committee, as well as the expectations raised for the young people using the park, it was decided that any delays were unreasonable and the park development should go to tender for construction immediately. Last year the Skate Park committee worked with Council to develop detailed designs of the park and the precinct with the support of funding from the Commonwealth Government Stronger Communities Fund. This enabled full costing of the project to be developed with a budget of $430,000 expected. “With the proposed in-kind support offered to the project it may cost less than this, however it is important we have enough funds allocated at the beginning of the project to allow for the highest cost scenario,” Ararat Rural City Council CEO Andrew Evans said. “Any additional funds may assist in delivering more elements of the overall precinct plan in the future”. Ararat Rural City Council Mayor, Cr Paul Hooper said this decision is a tribute to the amount of hard work and fundraising undertaken by the Skate Park Committee. “It just goes to show what can be done when community, Council and other levels of Government work together,” he said. The next steps will see the construction of the new skate bowl and upgrades work go to tender over the coming months with construction expected to commence later this year.